A friend shared this recipe with me years ago. The ingredients sounded so strange to me, but I gave it a try. I am so glad I did. It is so flaky and delicious. It is very versatile. I use it for pie crusts, quiches, hand-held chicken pot pies, etc. I can't tell you how many times I've been asked for the recipe. It really is that good. 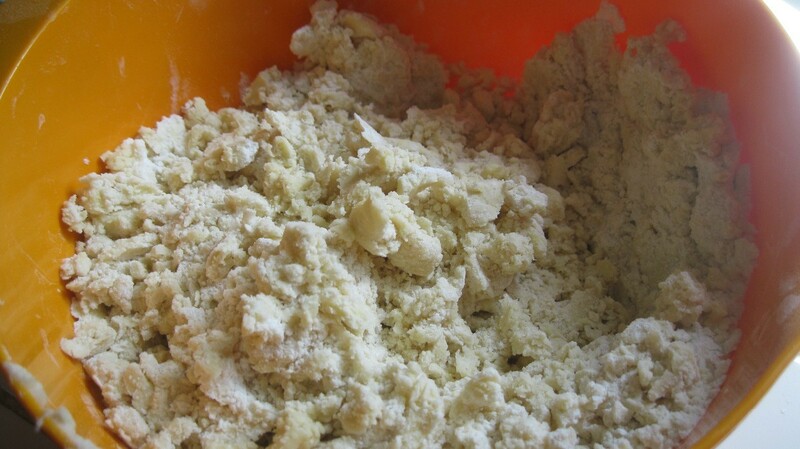 Mix together the flour, shortening, sugar, and salt til crumbly. 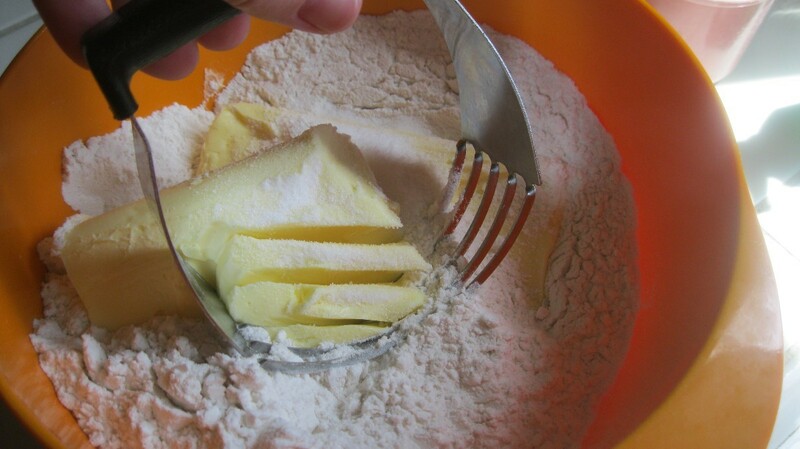 You can use a pastry cutter or a fork. 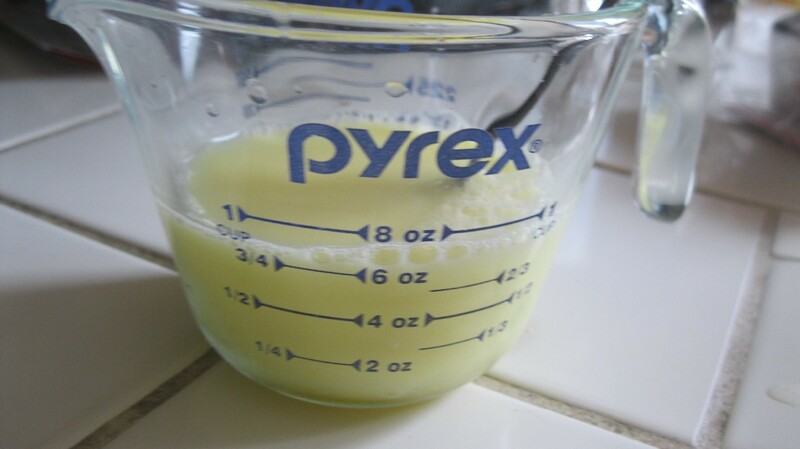 In a separate bowl, beat vinegar, egg, and water. 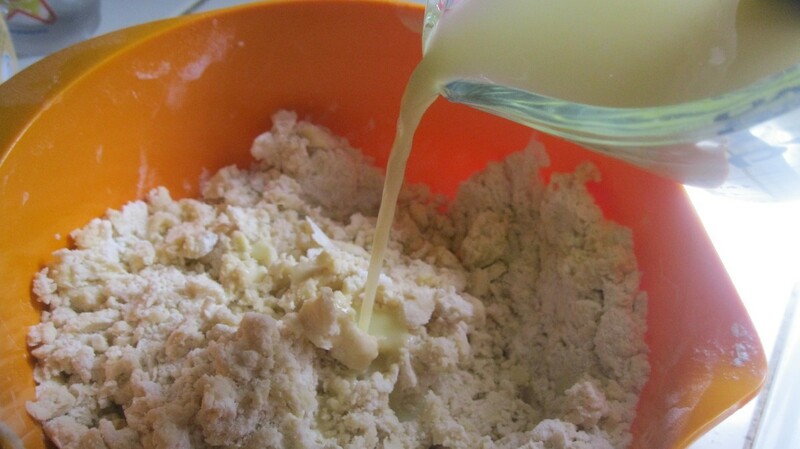 Pour wet mixture into flour mix. Mix with spoon til combined. Form into balls. Wrap in plastic wrap. Chill at least 15 minutes before using. Can be refrigerated for 3 days or frozen for up to 3 months. You can blind bake your crust, baking it before you add the filling, for cream pies or fresh fruit pies. Roll out your dough on a floured surface. I like to roll it out on a pizza pan, to get a uniform shape. 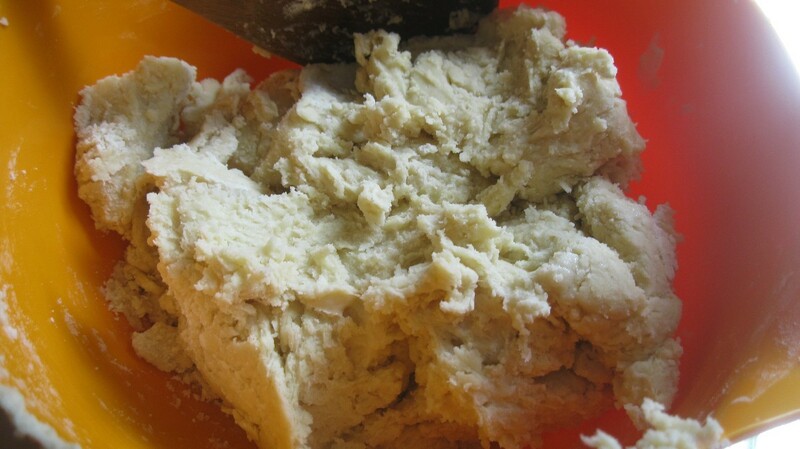 Place dough into pan. Create your edges however you like. Put wax paper on top of the crust. 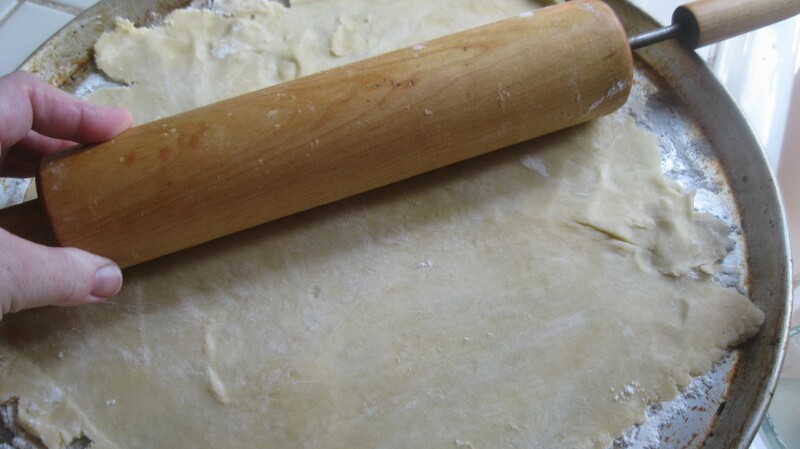 Fill the pie crust with pie weights or dry beans. I use a pound of black beans. 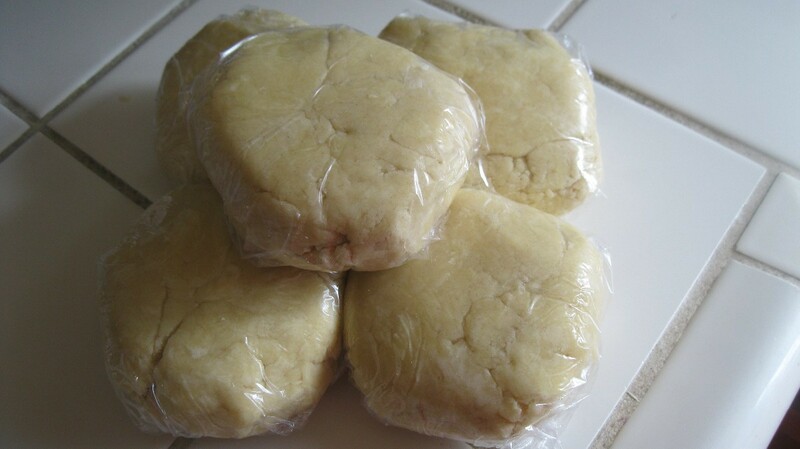 Once done, I keep them in a baggie for the next time I make a pie crust. Bake at 450 degrees F for 5 minutes. Take out of the oven. 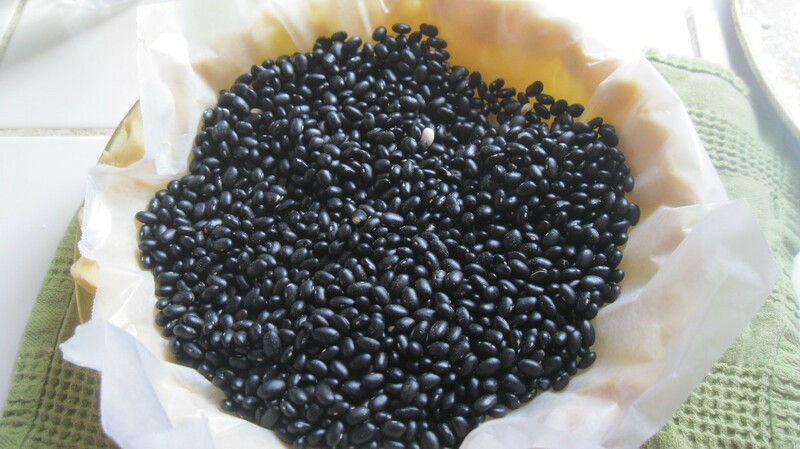 Remove the wax paper and beans. It's easiest to grab all 4 corners of the wax paper and lift it all out. 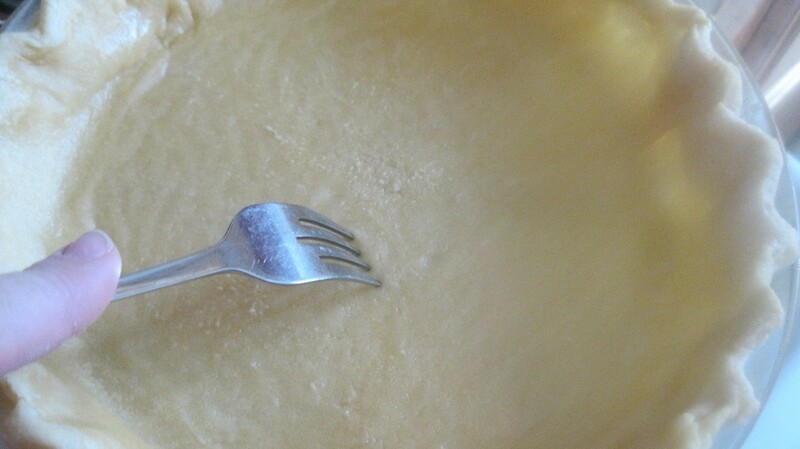 Pierce the bottom of your crust with a fork. Return to the oven and bake 10 more minutes, til golden brown. Been doing this crust for years. It's called a Vinegar Crust. Every bit of the pie gets eaten. Just love it. 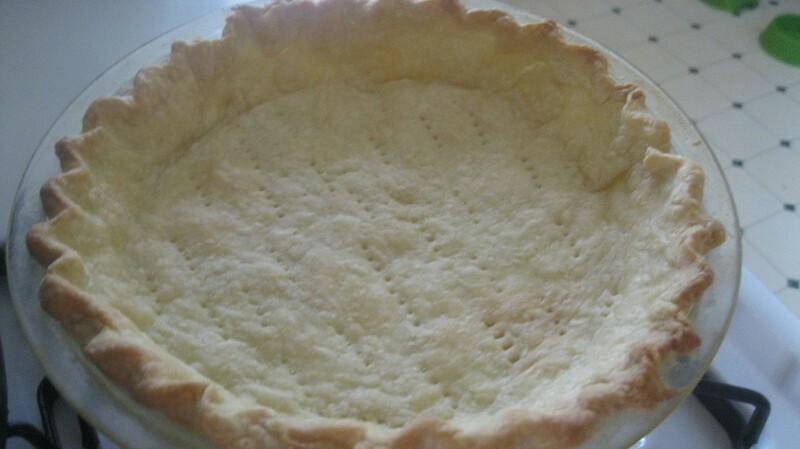 I leave out the sugar if the crust is going to be used for a meat pie. 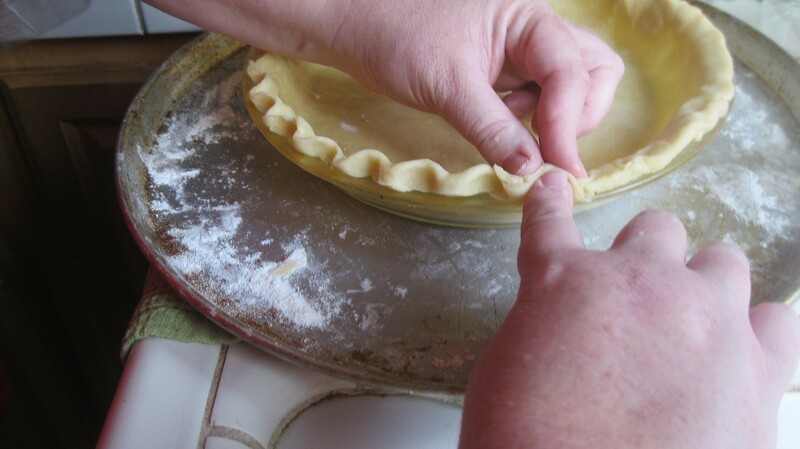 been doing this crust for years......if you have a problem rolling... just piece it and it will be fine.....bring up sides and cuff your hand and use your fingers to bring it up and then just pinch around the edges. Haven't baked a pie for eons; with this recipe, could do it! I often use an oil one pan crust but I am intrigued by this one with the egg and vinegar. I will have to try it! Thanks for posting. This is exactly what I was looking for, only I heard you can roll it while it's still in the plastic wrap. I'm going to try it.